Although your home may look perfectly clean, if it is thoroughly draught-proofed, warm and slightly humid it will be seething with house dustmites. They will be thriving in the carpets, beds and upholstery. Pet dander and pollen will also be among the airborne allergens in every home. Asthmatics and those with eczema are often advised to vacuum floors or beds and to dust daily. But if this is done with an ordinary vacuum cleaner and a dry duster it will only mean breathing in yet more allergen as it is churned out by the machine and made airborne by the dusting. Dust escaping from the body of the machine or through its exhaust filtration system means that airborne allergen particles are easily inhaled and explains the unexpected increase in patients' symptoms recorded after doctors have recommended frequent vacuum cleaning. Tackling allergens is now big business for vacuum cleaner manufacturers and you'll find that the majority of the more expensive models on the market now offer an HEPA - High Efficiency Particulate Air - filter to pick up tiny allergen particles. The HEPA filter is positioned after the motor to ensure that the exhaust fan is releasing clean air. The HEPA filter component and vacuum cleaner are completely sealed so that contaminated air cannot be released into the environment. For anyone with an allergy, how much dust a vacuum cleaner can pick up is irrelevant if it can't retain it. There are a number of vacuum cleaners available which can make health claims but only one, the Medivac Microfilter, was designed and created specifically for sufferers from asthma, eczema, rhinitis and dust allergy. 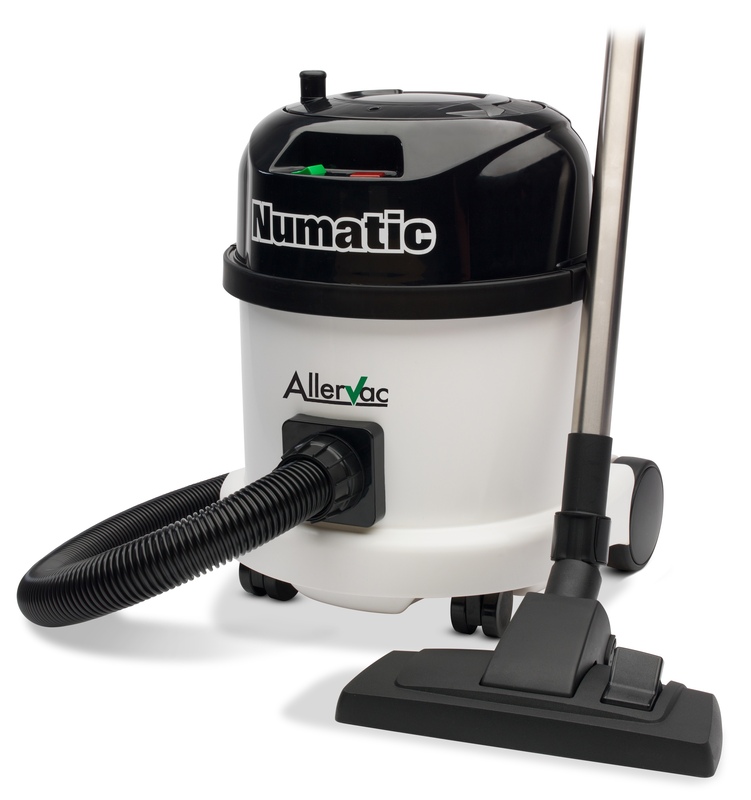 Now replaced by the AllerVac Microfilter, it is the only vacuum cleaner individually certified to British Standards not to blow out mite allergen. Scientific trials conducted at Wythenshawe Hospital in Manchester show that there is no increase in the amount of mite allergen in the air after using this machine. To ensure it will not leak dust or allergens, every AllerVac Microfilter, in its fully assembled form, is independently tested to conform to the British Standards High Filtration Test Standard. To receive certification it has to achieve 0.00% emissions. Every machine sold comes with its own Quality Assurance certificate, showing its serial number and the exact level of the machine's filtration efficiency. We have not found any comparable vacuum cleaner offering this superb level of protection. The AllerVac Microfilter has now replaced the Medivac Microfilter. The AllerVac H13 High Filtration is the smaller, lighter model that replaces the Medivac Compact. The AllerVac Cleanroom 100 is for professional and domestic cleaning to cleanroom standard (Class 100) where no dust can be tolerated.